“Vector is an exciting, arcade-style game featuring you as the exceptional free runner who won’t be held down by the system. The game opens with a view into a totalitarian world where freedom and individually is nothing more than a distant dream. But the heart of a freerunner is strong, and you soon break free. 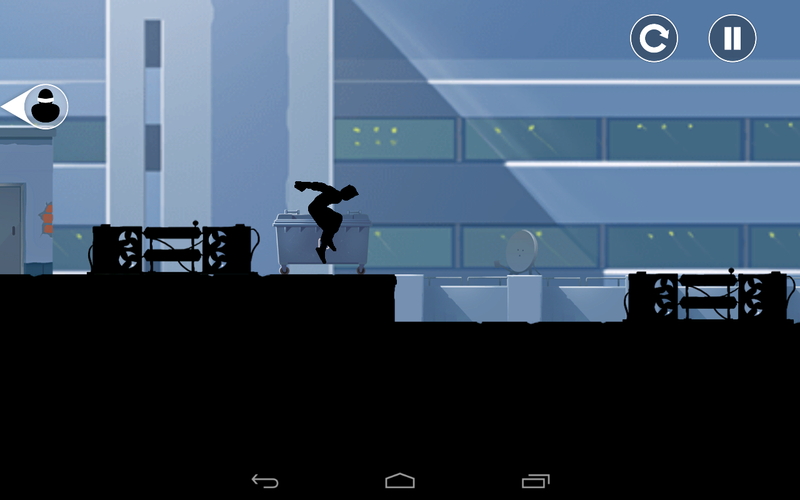 Run, vault, slide and climb using extraordinary techniques based on the urban ninja sport of Parkour all while being chased by “Big Brother” who’s sole purpose is to capture you and bring you back. 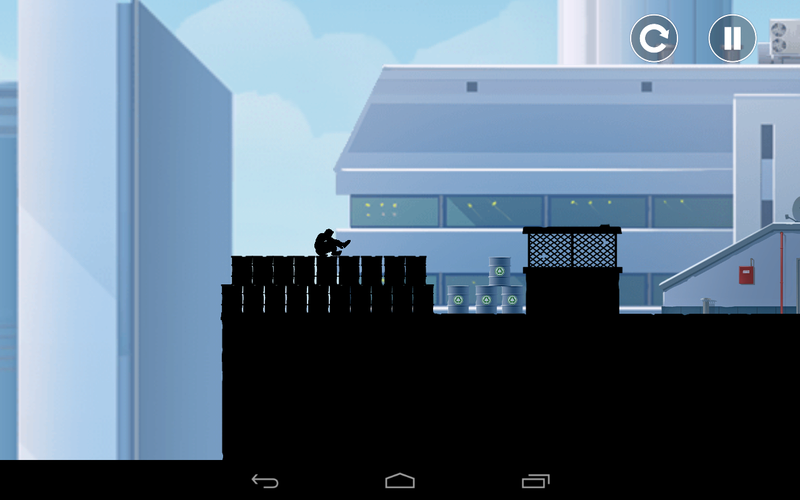 It's basically a free running game that you are a silhouette guy running from another bulkier silhouette guy jumping from rooftop to rooftop. - The responsiveness of the controls feel slightly off when trying to perform tricks. Vector is a pretty cool game that I enjoyed at first. After a while of playing, you will begin to realize the issues like load times (tried it on both the Nexus 7 and the Nexus 4 so it isn’t my devices…), and the overbearing ads between play. I do recommend people to try it out because load times will not always be an issue and it really is a great game.